"A hundred years from now it will not matter what my bank account was, the sort of house I lived in, or the kind of car I drove. But the world may be different because I was important in the life of a boy." We are located in Arvada, Colorado and currently have a growing membership of over 80 boys. 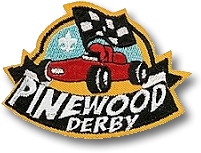 While we have boys from many communities in the area, Trinity Presbyterian Church is our chartered organization and allows us the use of their facility for many of our Pack activities. We recruit boys from Thomson, Warder, Hackberry and Peck Elementary schools, but we have over 12 schools represented in our Pack. 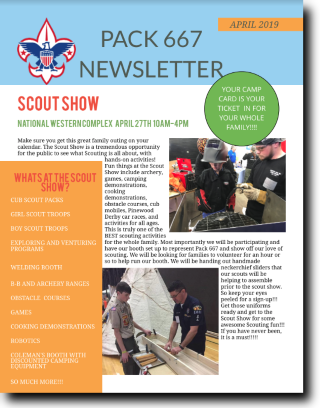 We are a very active group who really want to have fun and fellowship while we help boys learn about our country, our community, and the environment we all share. We hope to teach boys to be respectful and resourceful while having loads of fun. 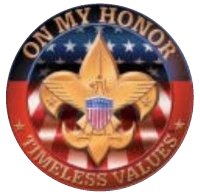 We are committed to teaching the values that the Boy Scout program is built on. 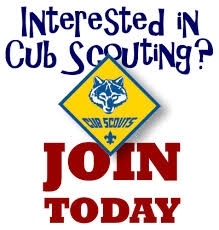 Compared to many other activities, Cub Scouts IS a great value, too. We have lots of year-round activities, many free, that will run a family less than about $0.25 a day (Uniform and all).